This article originally appeared in The Dieline on April 18th, 2018. Packaging is important to consumer packaged goods (CPG) companies, but we often forget that packaging plays a role in retail too. Retailers understand the impact packaging has on consumer purchasing behaviors, but often face challenges with CPGs who design their packaging as an isolated product, never considering how the product packaging would look on a shelf or how it appears online. Esko’s Vice President of Marketing, Danielle Sauve interviewed Chris Walton, Entrepreneur, founder of the blog, OmniTalk, and former VP, Target Store of the Future, about packaging’s implications on the retail industry. 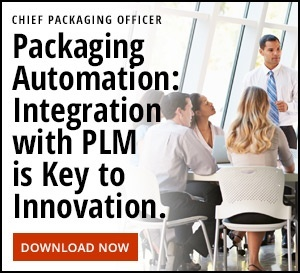 With years of industry experience, Walton provides his take on packaging’s relevance in today’s retail world, how consumer packaged goods (CPG) companies should communicate with retail channel partners for packaging changes and the future of packaging for e-commerce. Danielle Sauvé (DS): We work with brands most often, so help me understand what role packaging plays from a retailer’s perspective. Chris Walton (CW): As a merchant spending almost 18 years in merchandising, packaging is important to the retailers because it stops people at the shelf. It arrests them as they’re shopping. You only have a few seconds to grab their attention, and that is what it’s designed to do. It’s also a navigation tool to help the consumer navigate the category. DS: Do you think the role of packaging is more important or less important than in the past? CW: I just think it’s changed. Packaging is still needed for brick and mortar stores, but online is becoming more important. The trick is that some of the new packaging is really the item-level data plus the photography that is now becoming the “at-shelf packaging” for e-commerce. I mean, that’s what’s really happening, and so brand managers have to decide what that looks like online. What arrests shoppers when they’re searching on a browser? What photography captures the brand? Is it the same look and feel as what you see when you’re walking in a store, or is it something different? DS: It sounds like you’re saying that the information on a package has been atomized onto a screen and made searchable, but it still has to perform its basic functions. CW: I’ve talked to many traditional CPG players. I think it’s really interesting that many have huge marketing engines putting all this power and money behind the creation of this brand image, and most of the time that probably starts in-store, with national advertisement campaigns, or thinking about what the packaging looks like. And then when you go to the actual operations, it’s done the same way that people have executed everything before. I mean you’ll see teams of people asked to put the item information in on behalf of a CPG, and if you think about it, that doesn’t really make sense. I mean, they’re doing it because that’s how the sales organizations have been aligned to sell the products to those retailers, but the guys that get it really understand that digital is really all one front-door experience, and you shouldn’t have a disaggregated operation to try to create that look and feel of what’s online. But it’s actually far more complicated than people realize. As a result, you’ve got to make sure you’re operating from a centralized perspective. You could do an awesome new brand launch, but if your company doesn’t have the structure in place to get that through to all the individual retailers online and all the different places those products show up online, it could all fall flat. And I don’t actually think the marketing managers would even know if that’s happened. That’s what’s scary to me. DS: Yes. 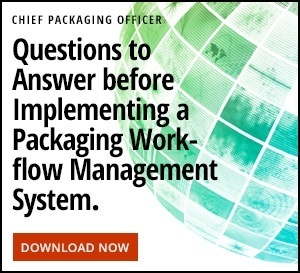 I’ve talked to packaging directors who say, “We don’t even have a way to measure the on-time delivery of our packaging to our customers.” So, the brand says, “Let’s push this packaging change out,” but they can’t measure when it actually hits the store. CW: For a lot of these companies just getting the product online is a big feat. That can take weeks and days in and of itself, and then to actually have a change executed, that’s a whole other process. And it gets even more complicated if you have people across the national landscape trying to do it versus centralized control of that process. But digital guys get that. They’ve organized themselves that way from the beginning because that’s how they started. DS: Tell me more about what you mean by the digital guys. DS: What are the key problems that are overlooked by businesses in regards to product packaging? CW: It depends on the channel. For stores, the really good companies understand that their product is like a canvas: you can’t think about or try to sell your product or try to design your packaging as an isolated thing. It has to work with the topography of everything else on that shelf. I was consistently frustrated with companies who didn’t recognize that. I can also remember a number of presentations I’d sit through where they would show me the packaging, and I’d say, “I don’t want to buy three of these in every one of your case packs when I’m going to only sell one. I have to buy a lot of inefficient inventory,” or, “Your packaging is so small — it looks ridiculous next to this on the shelf, and for me to keep the shelf full, I’ve got to buy like 40 of them.” That stuff just doesn’t make sense. It’s hard for retailers. I think once you add the e-commerce layer in there, it gets even more complicated. On the e-commerce side, I think the number one thing for me is that the package that you see in the store is probably not the right photographic view online. I think the shipping dynamics are different too. Brands should think: the doorstep is now my first true physical touchpoint, the first tactile touchpoint with the brand. Yes, the consumer (me) was introduced to it online, but now it’s at my door and in my hands. What does that experience look like, what does it feel like, how easy is it for me to use as a product, what does that packaging convey, how much am I tied to the packaging? Those maybe aren’t necessarily problems, but I think they are unexplored opportunities that need to be thought about.